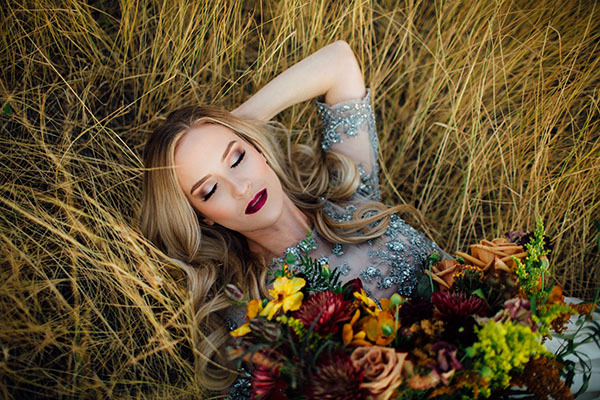 This inspiration is fairy tale goodness with its gorgeous colors and wonderful warmth. 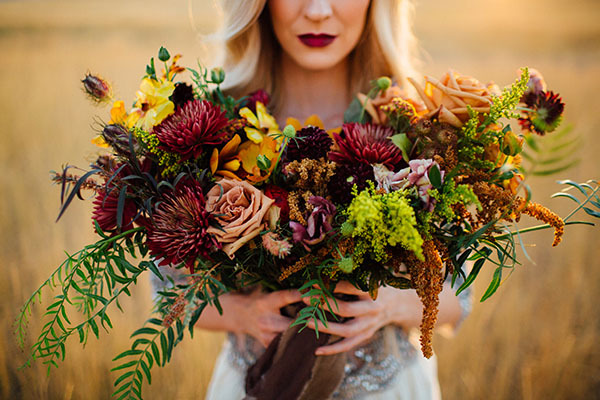 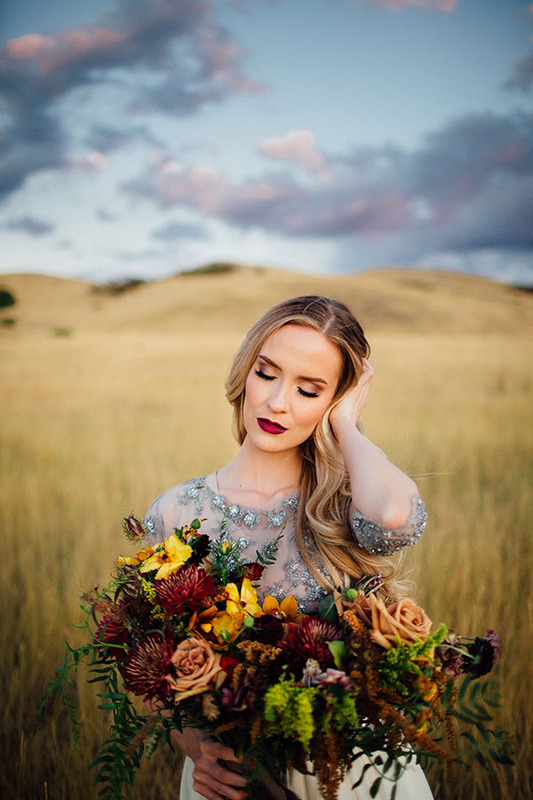 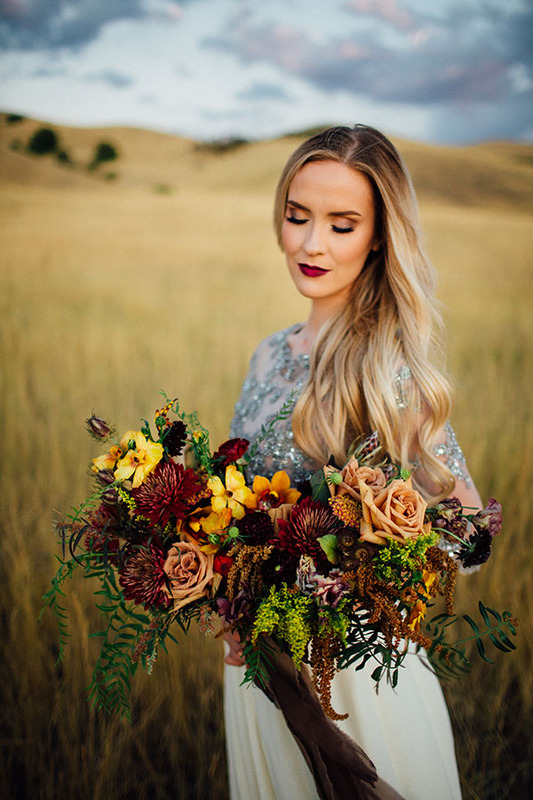 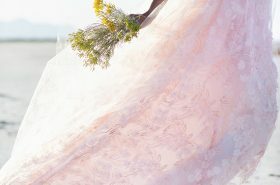 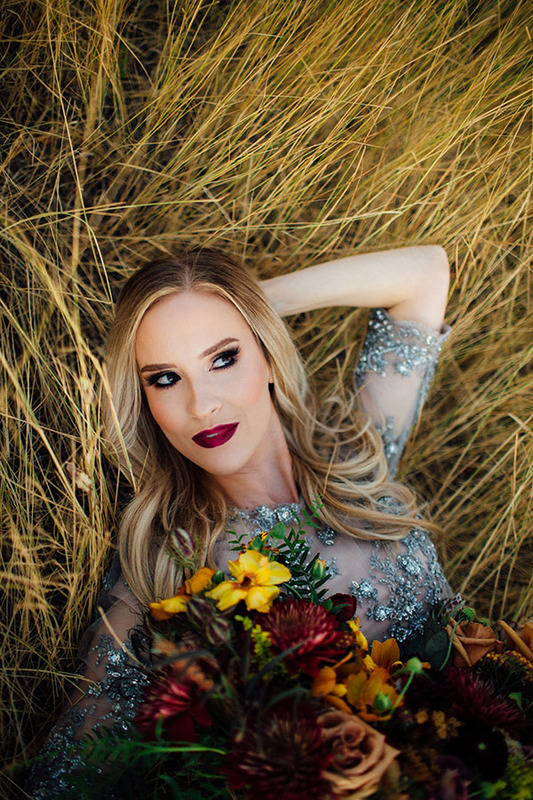 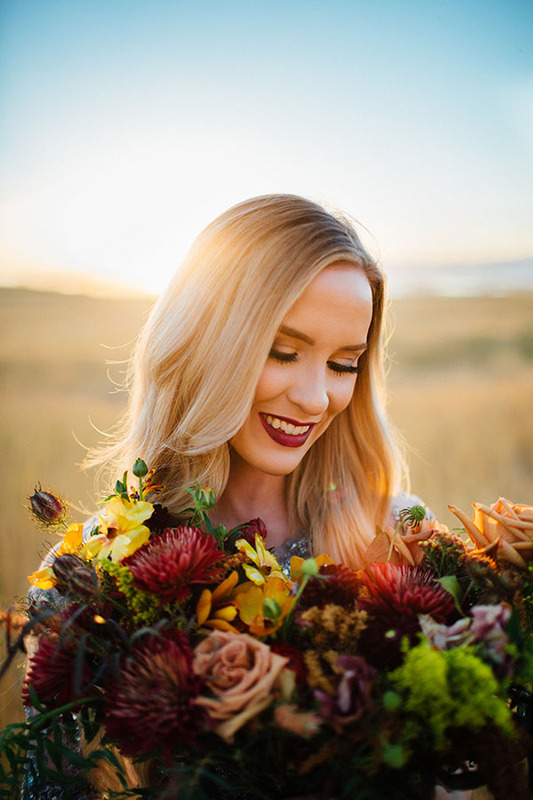 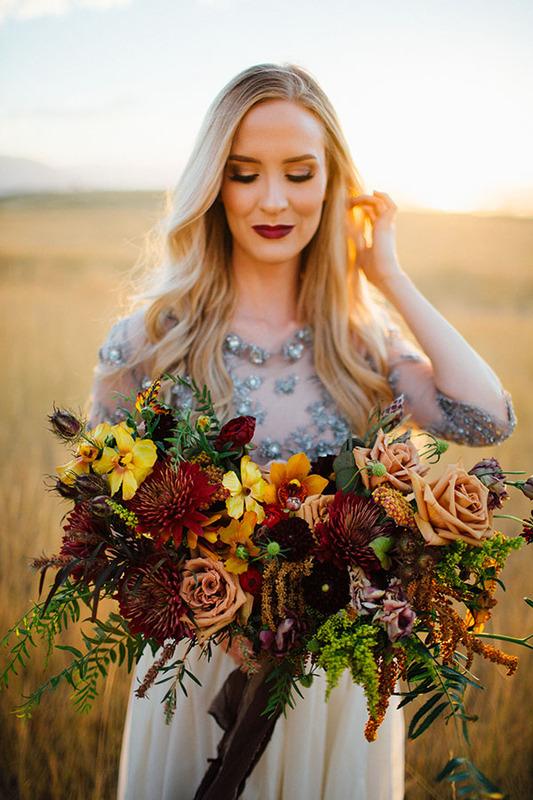 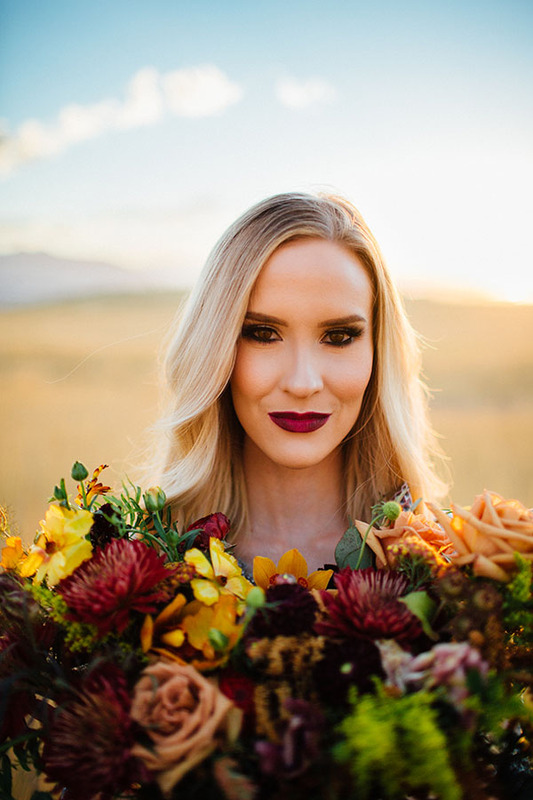 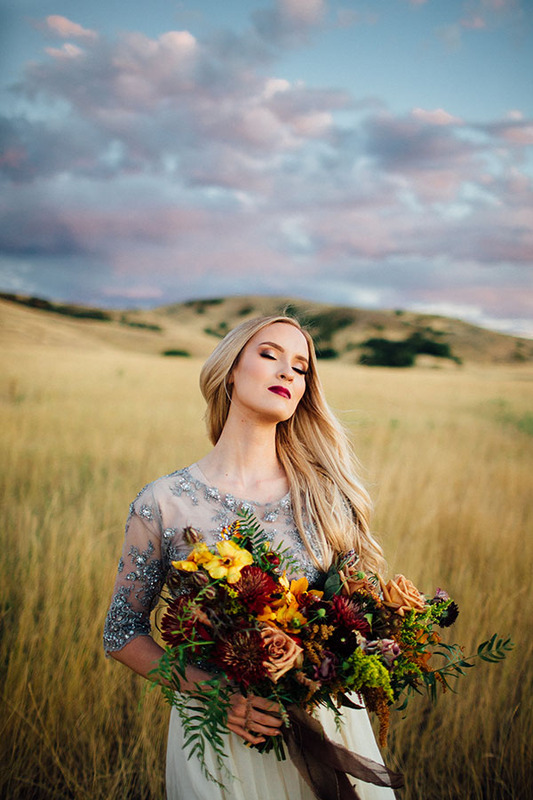 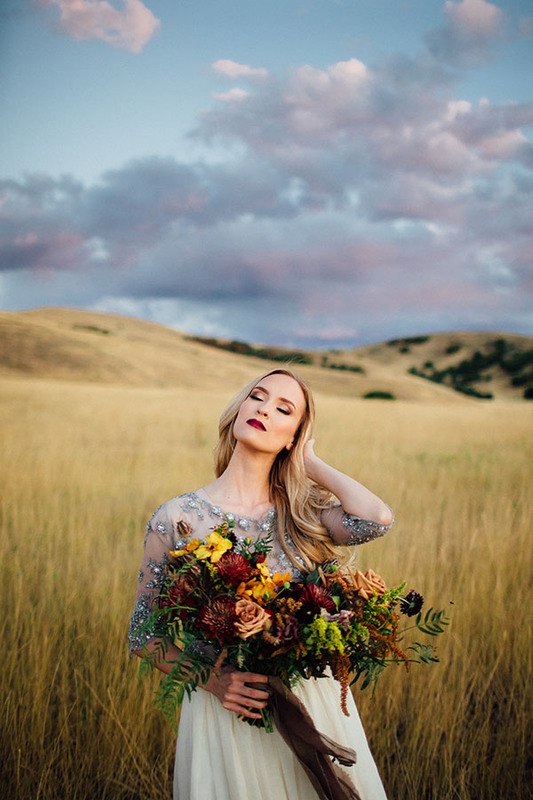 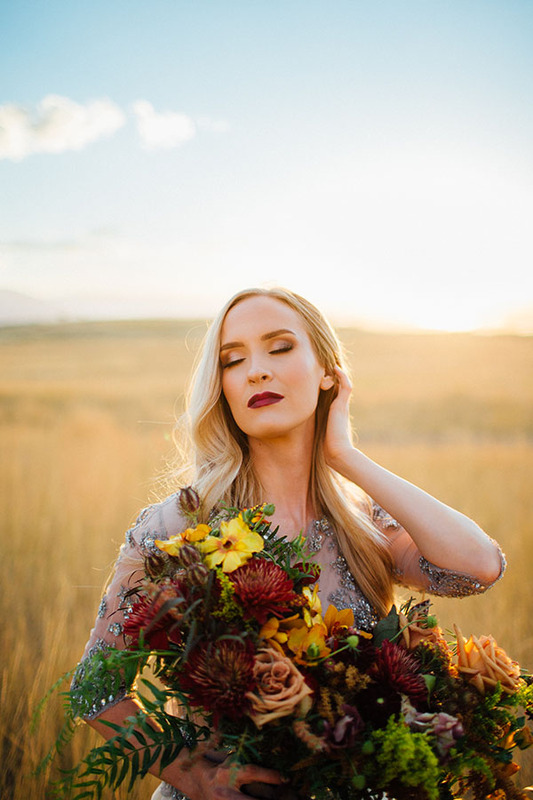 We are dying over the bouquet by Lilly and Iris (those rich colors! 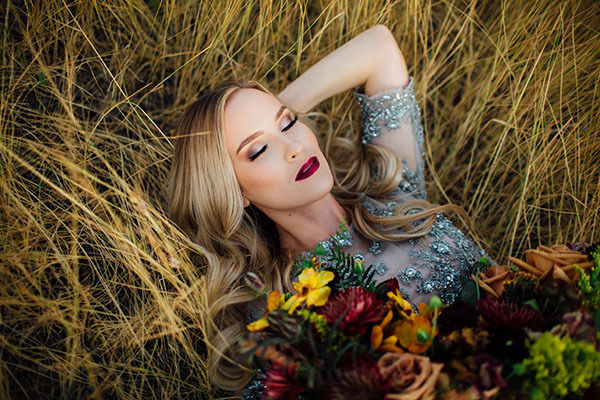 ), that beaded bodice from J. Noelle Design (sparkle forever), the dramatic styling by Merrie Carson (those red lips! 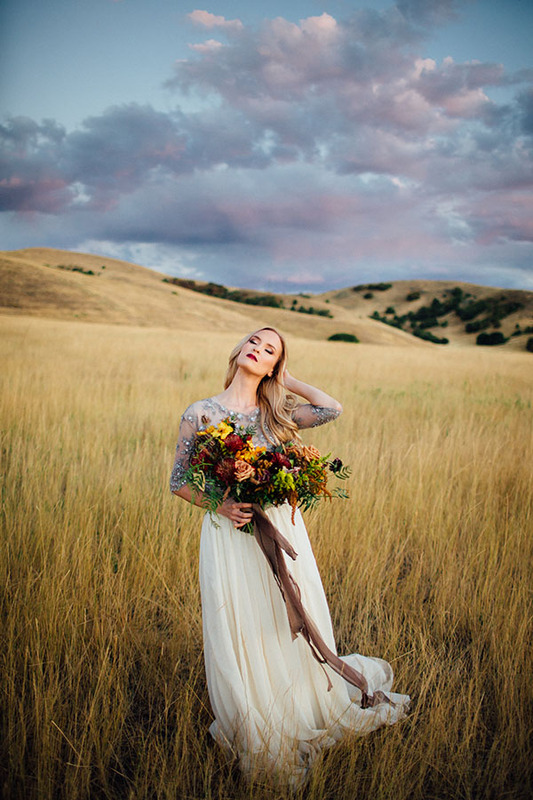 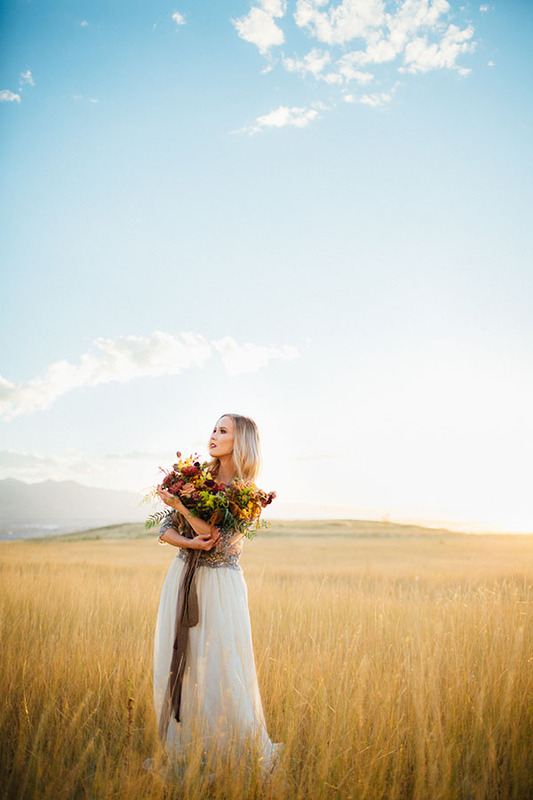 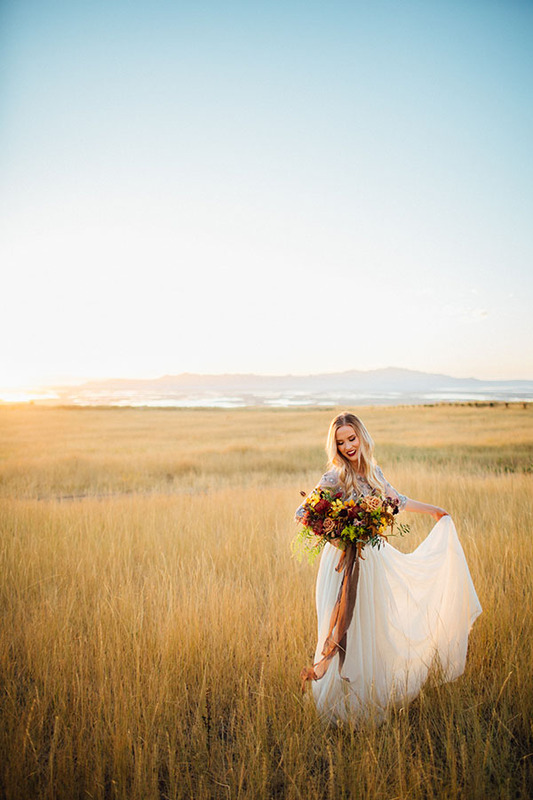 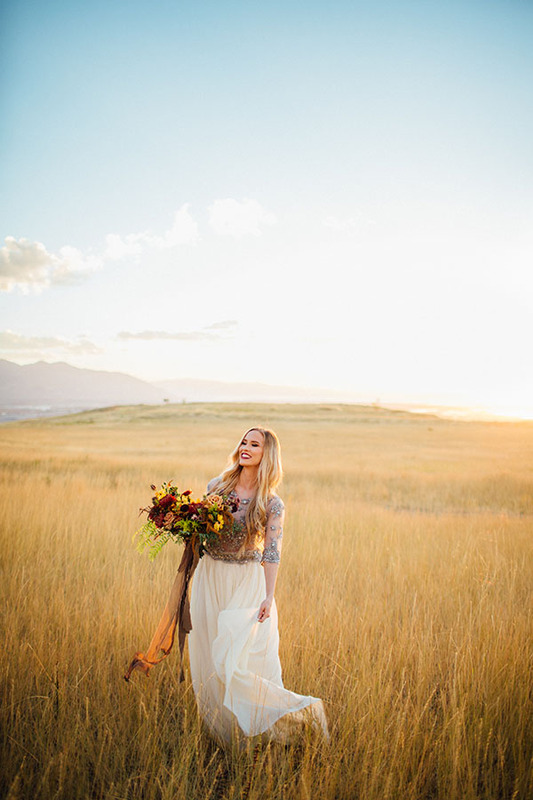 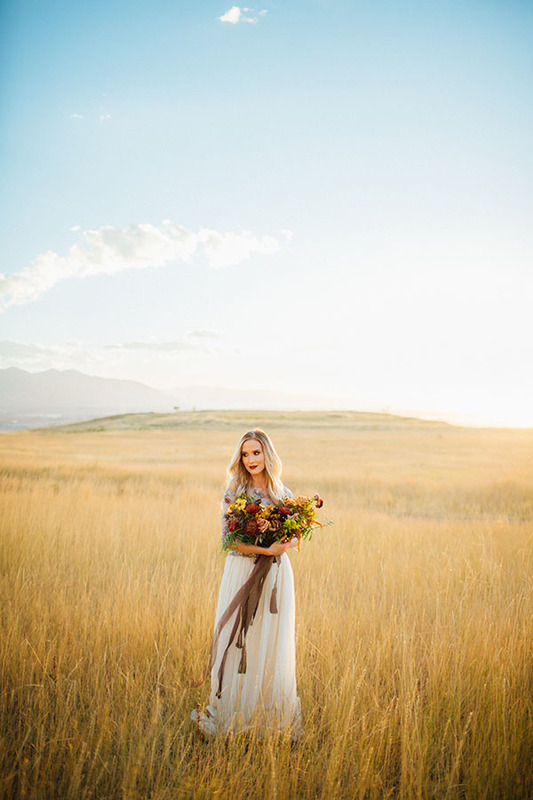 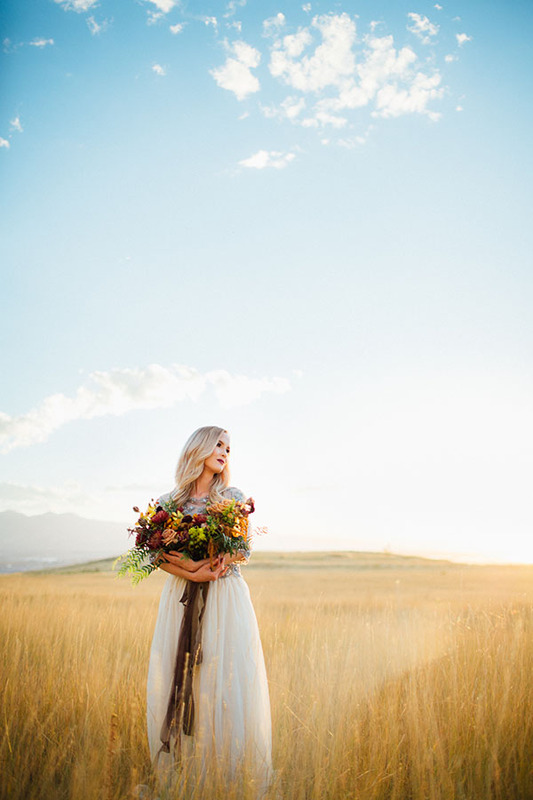 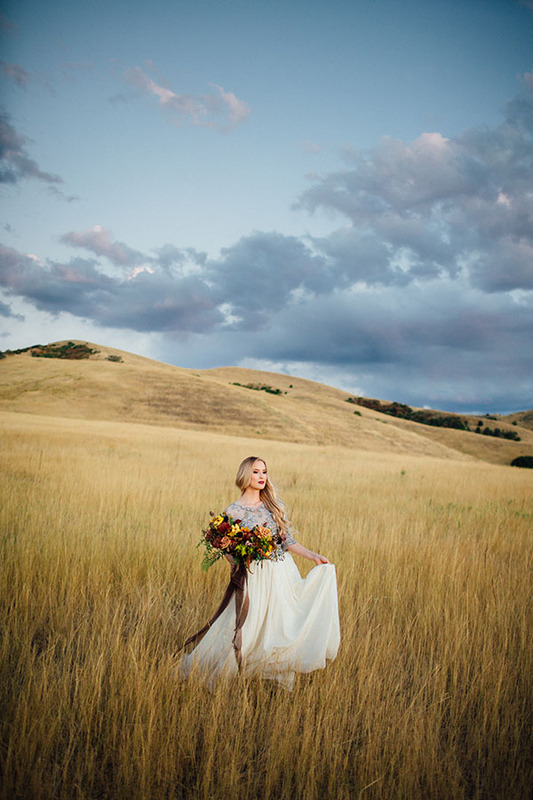 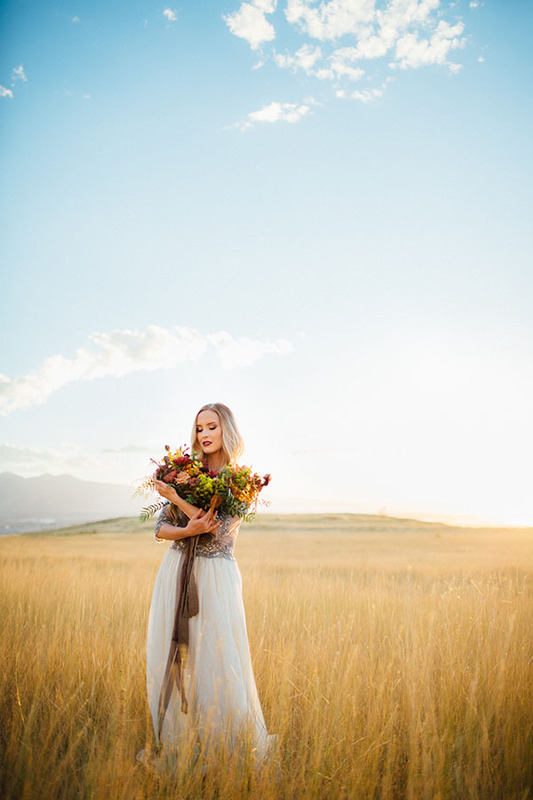 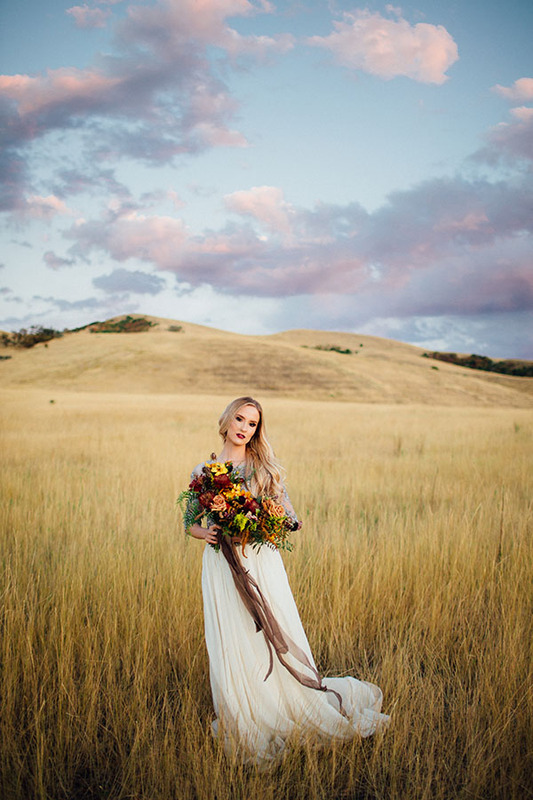 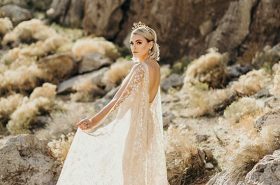 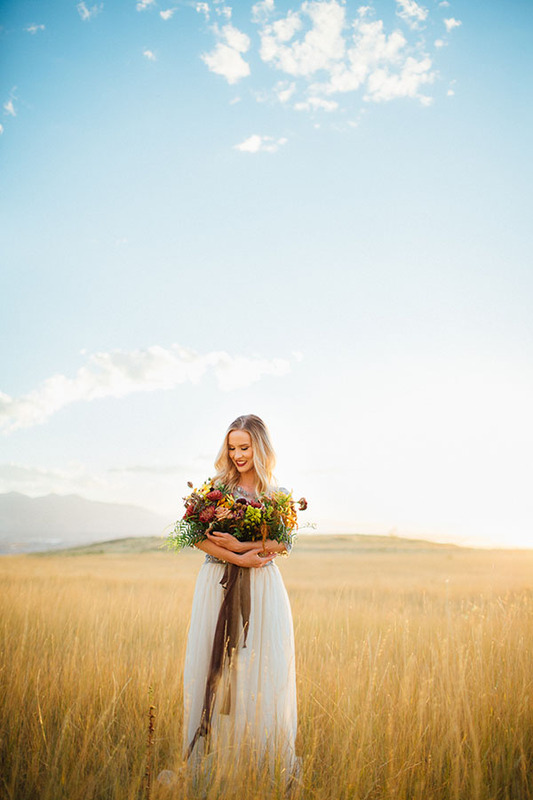 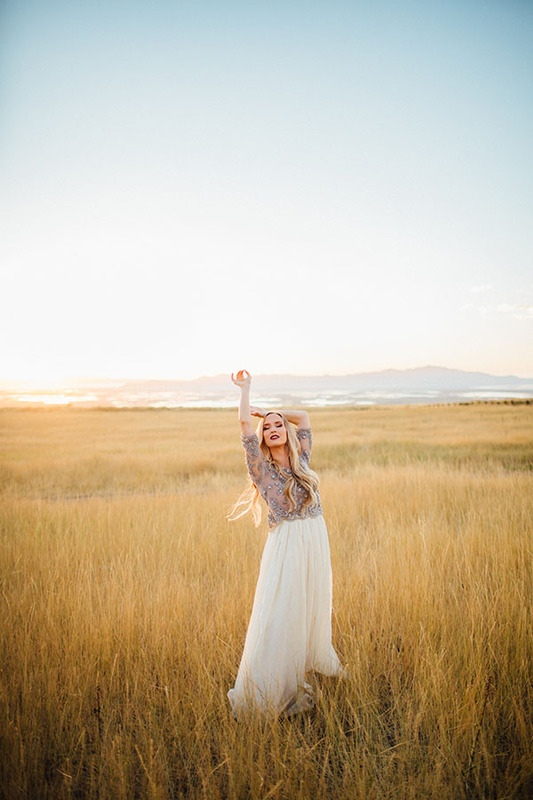 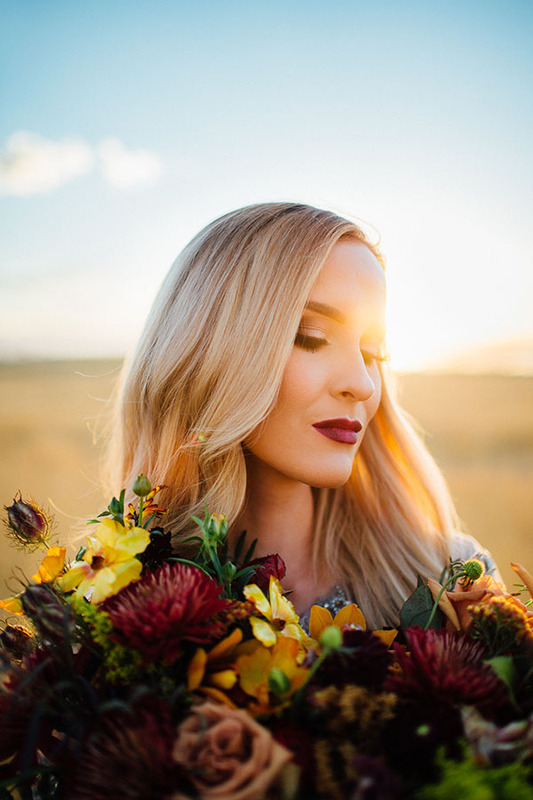 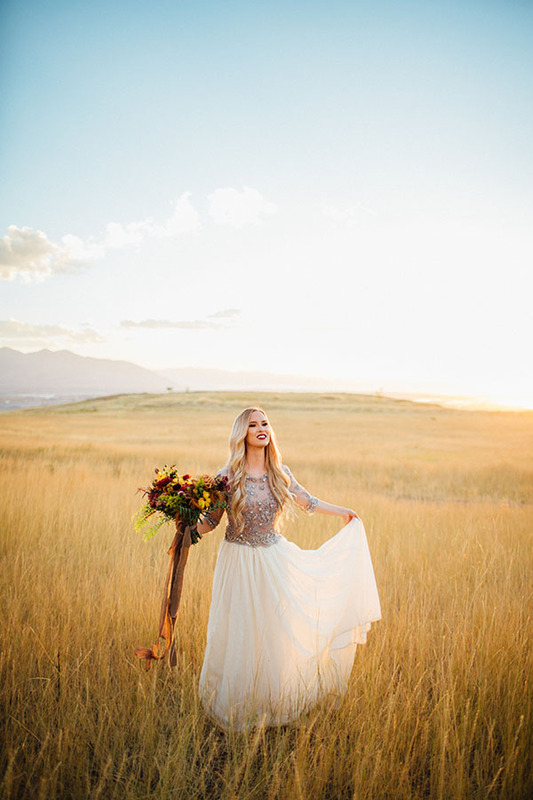 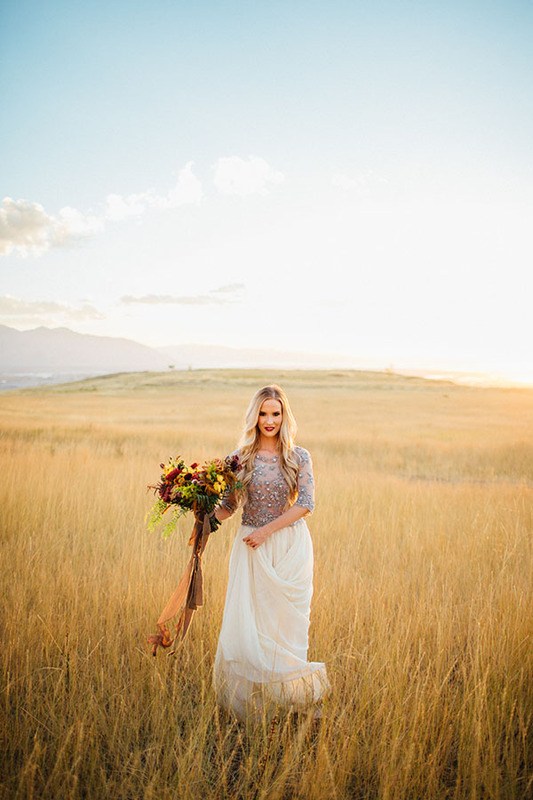 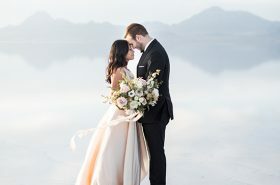 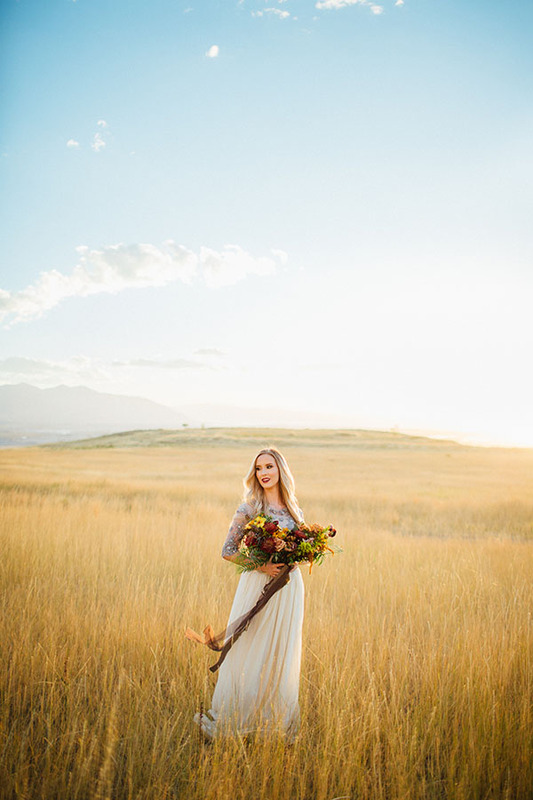 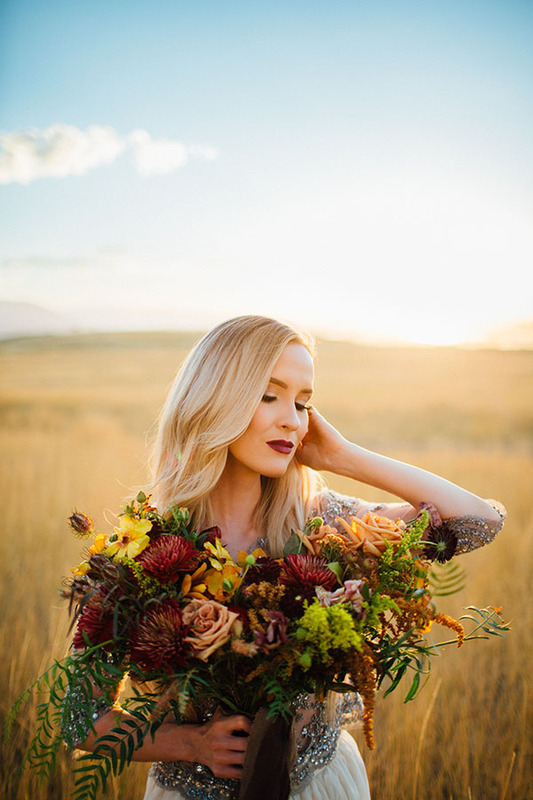 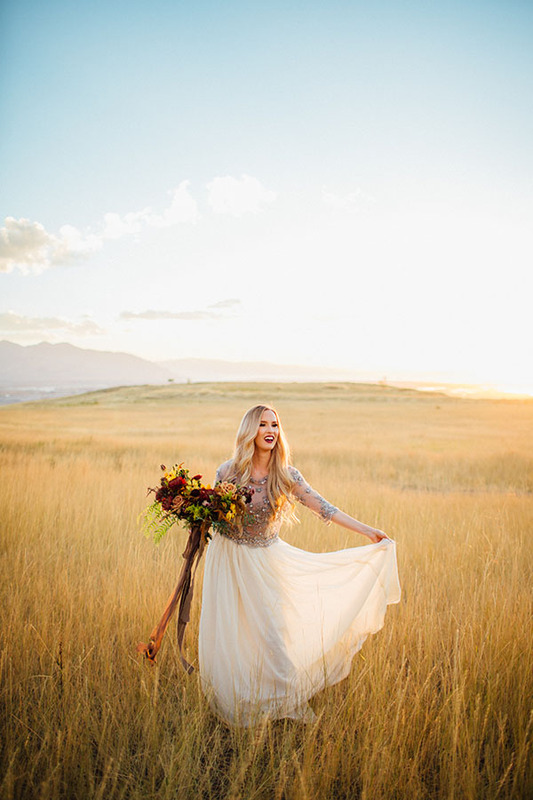 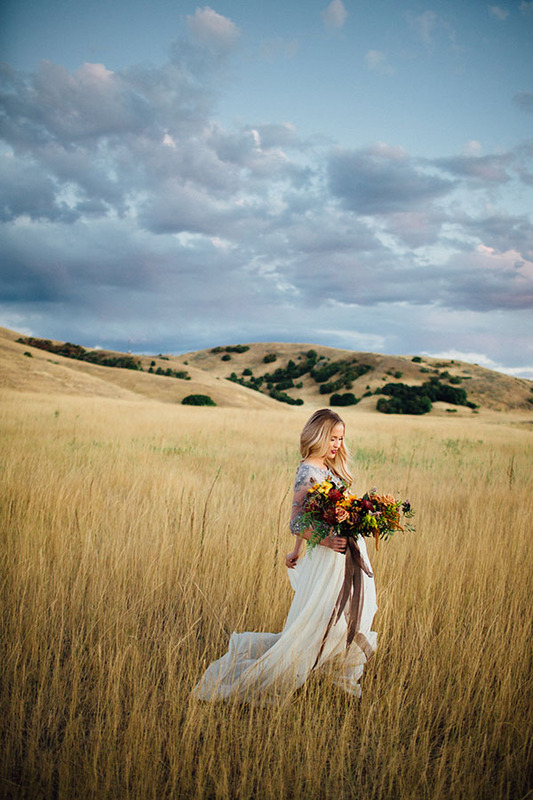 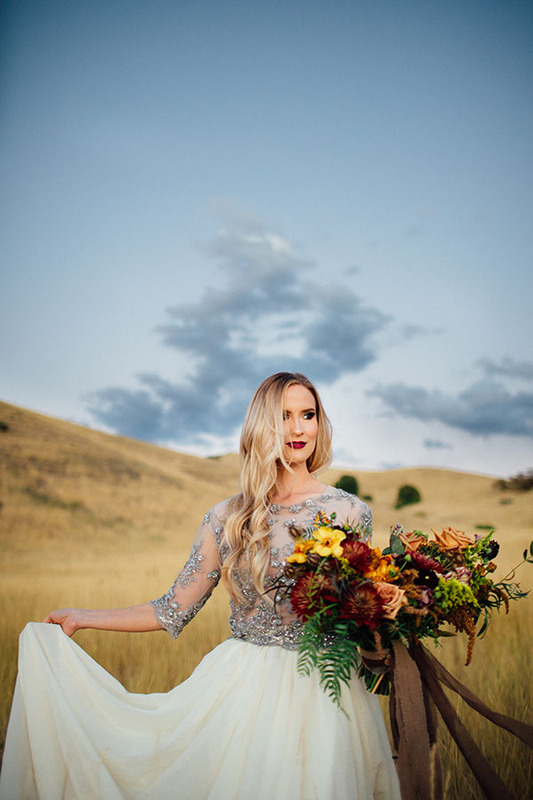 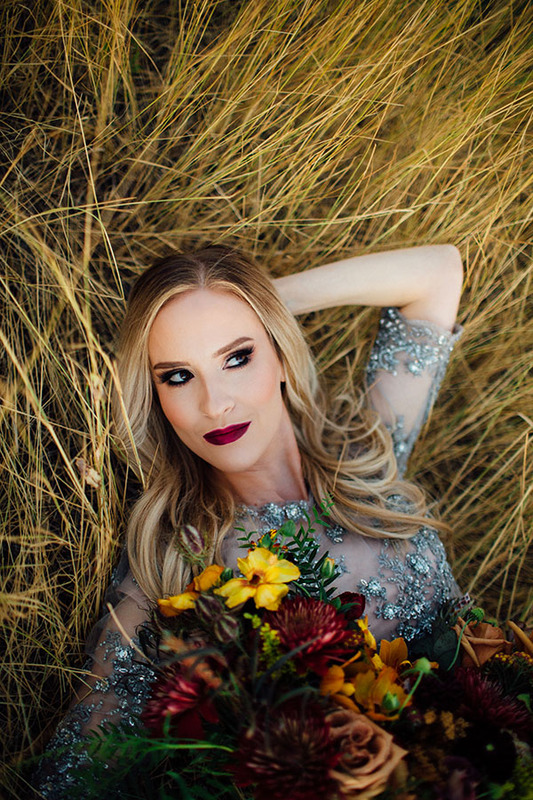 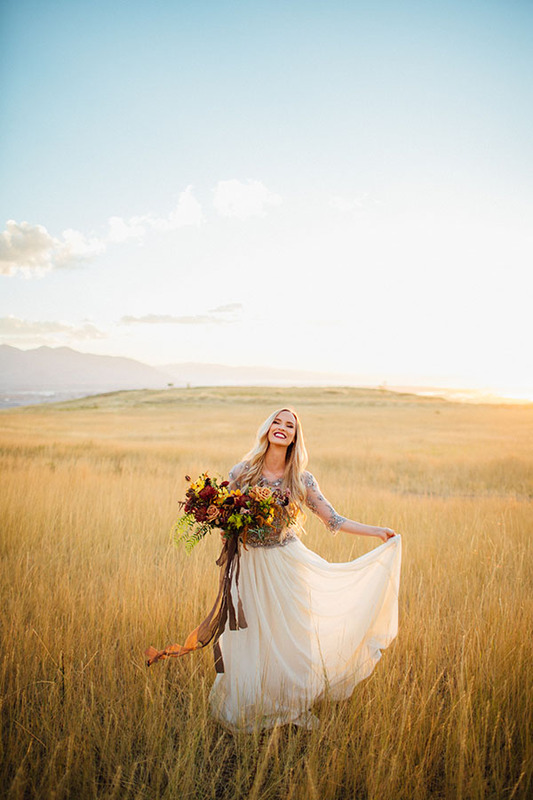 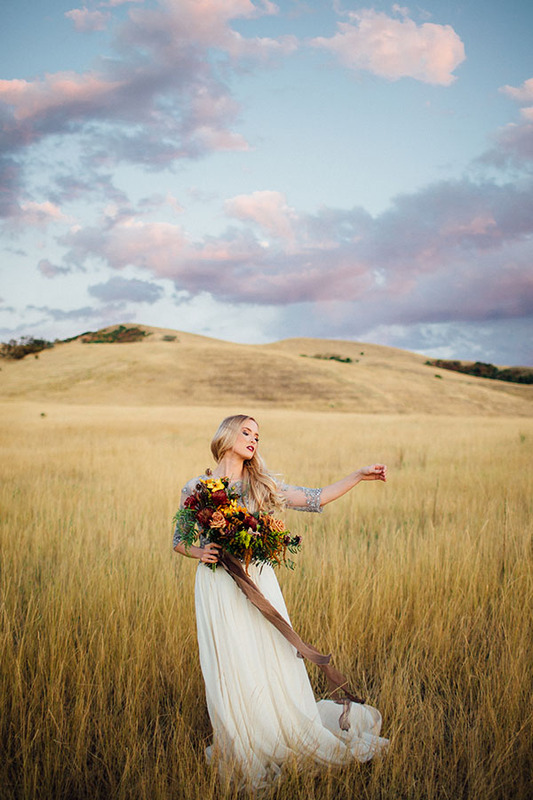 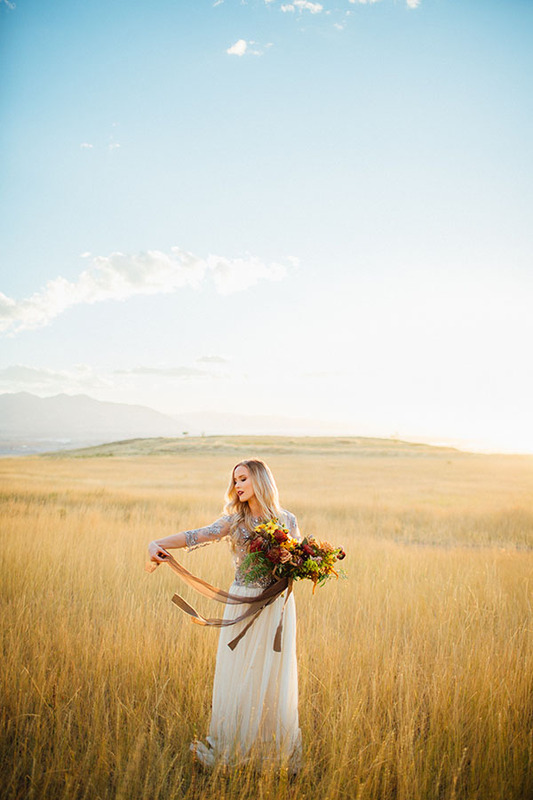 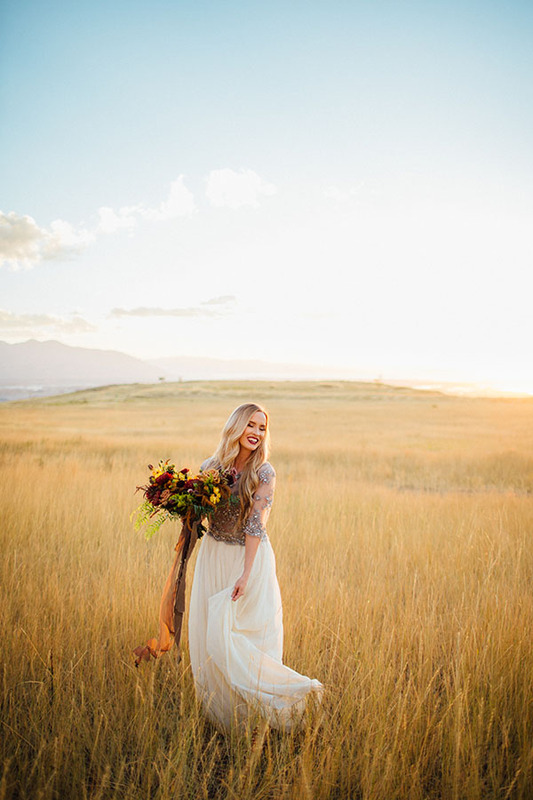 ), and the impeccable images by Madison D’Huart Photography (those golden tones!). 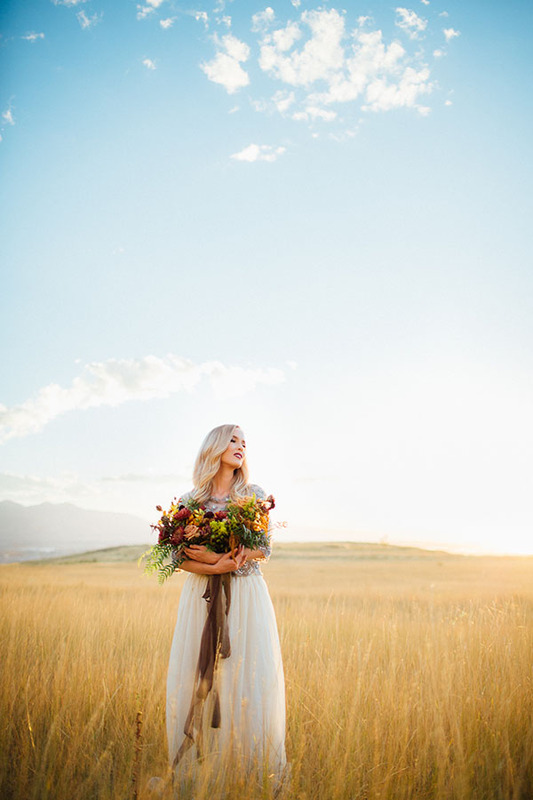 Come stroll + scroll with us! 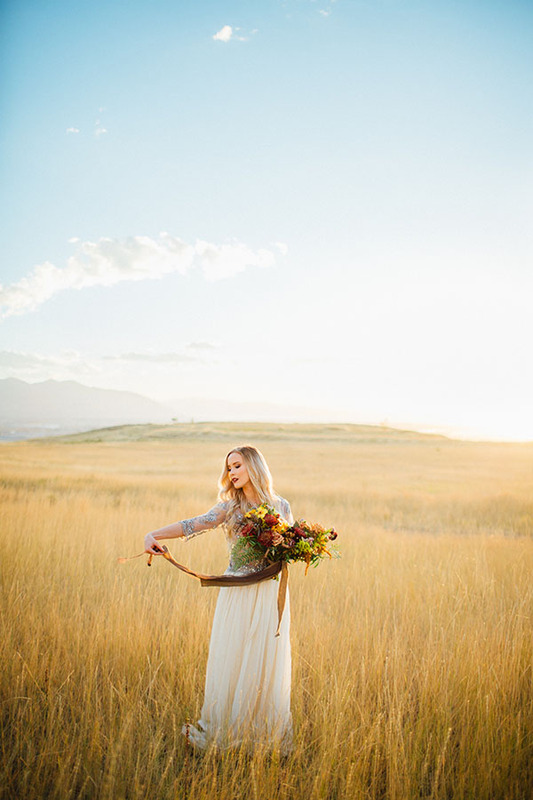 It’s golden hour all day over here.